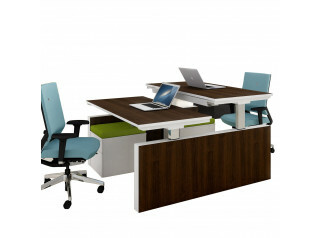 Oblique Adapt Height Adjustable Desks provide a refreshing aproach to the way you work in the office. The adjustable double desk is stylish, robust and reliable adjusting according to your every demand at a push of a button. Oblique Adapt height adjustable desks offer a manual crank handle adjusting desk solution starting from a height of 680-880mm, or electric mechanisms can be added or smooth opersating providing a sit-stand solution, adjusting from 650-1300mm. 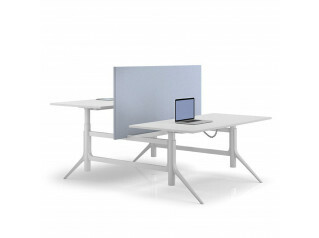 Oblique Adapt desk tops provide a range of desktops starting from 800mm to 1800mm widths. Finishes available as standard are oak, beech, maple, walnut, and grey and white. 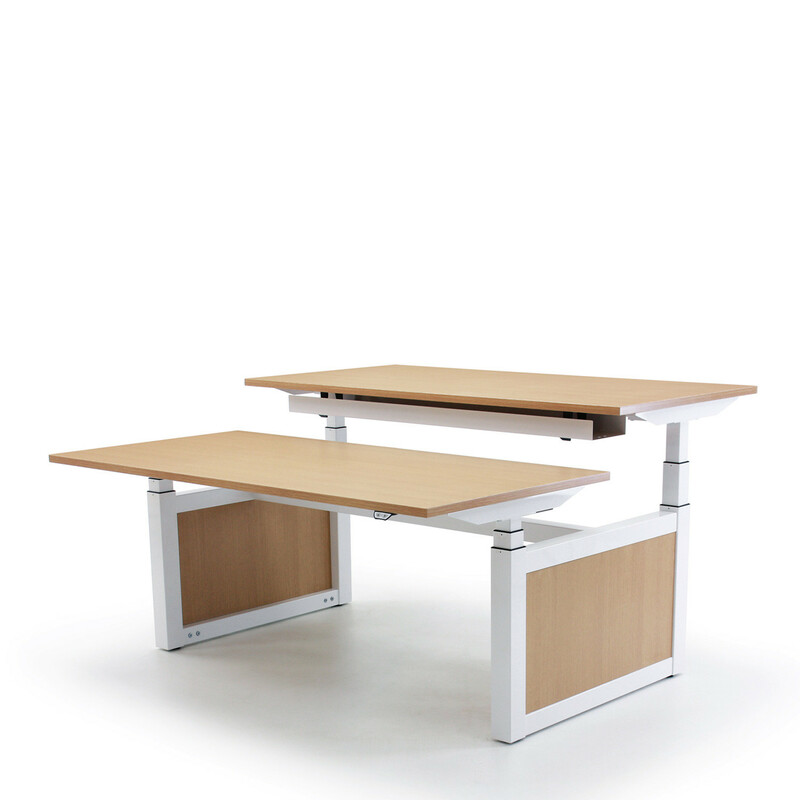 Oblique Adapt height adjustable desking go well when placed with other desking in the Apres furniture range. The legs are in white or silver. Delivery is just 4 weeks. View more furniture from Verco. You are requesting a price for the "Oblique Adapt Height Adjustable Desks"
To create a new project and add "Oblique Adapt Height Adjustable Desks" to it please click the button below. 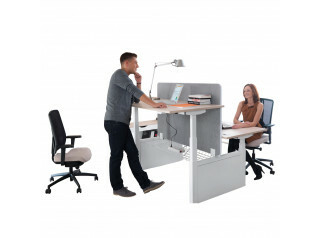 To add "Oblique Adapt Height Adjustable Desks" to an existing project please select below.